hard·ware [hahrd-wair] – noun – tools, machinery, and other durable equipment. With every passing year, the iPhone–and smartphones, more generally–becomes an amazing tool for both young and experienced scientists. 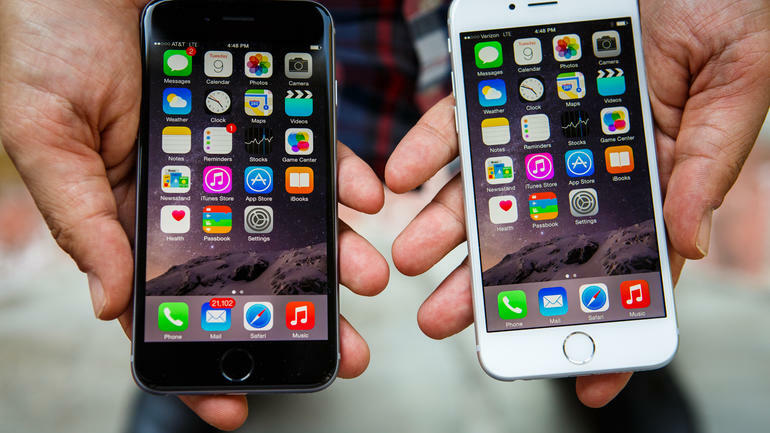 For example, there are easy ways to turn smartphones into powerful digital microscopes; there is a built-in App to record sounds and make voice memos; there are GPS features to help you locate your current latitude, longitude, and altitude; there are built-in cameras and video recorders for collecting all kinds of interesting ‘data’; there are Apps not only for measuring variables such as slope and light intensity, but also for learning about cells, molecules, and the human body; and, there are also ways to create and access databases. Smartphones have become excellent tools for scientists and science students, and this will likely continue well into the future. Apple’s iPad Pro, iPad Air, & iPad Mini do practically everything thing that iPhones do, but at the cost of a slightly larger size/weight. Nevertheless, iPads and Minis are also wonderful tools for scientific work. 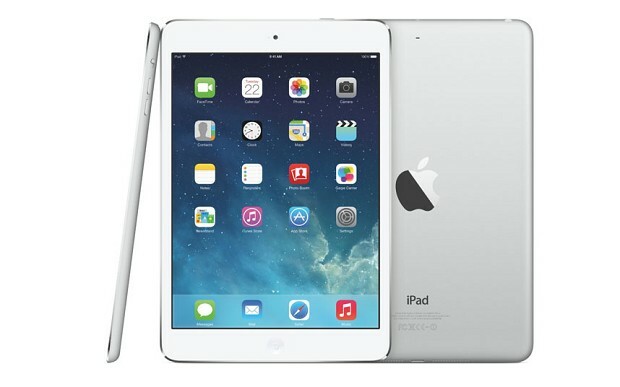 Besides the screen size, the greatest advantage of the growing family of iPad devices over the iPhone is the ability of the iPads to be paired with Bluetooth keyboards, which makes much scientific work more speedy and more efficient. The integration of the Apple Pencil with the iPad Pro has many scientists even more excited about the potential of this device to do serious scientific work. There are many occasions in science class in which we need to draw shapes with precision and/or accuracy. Other times, we might need to draw curves that look symmetrical. Yet other times, we might need to make shapes that look like perfect ovals or circles (think: atoms). 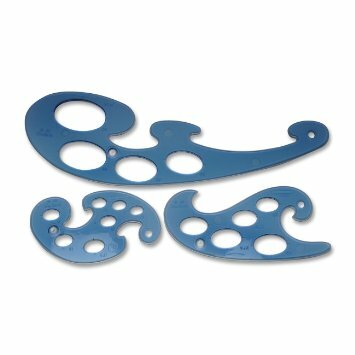 On these occasions, plastic circle and oval stencil templates can make drawing ovals and/or circles more precise, accurate, symmetrical, and/or realistic. Most oval and circle templates are inexpensive, but having a set in your school bag will improve the quality of your work in science. 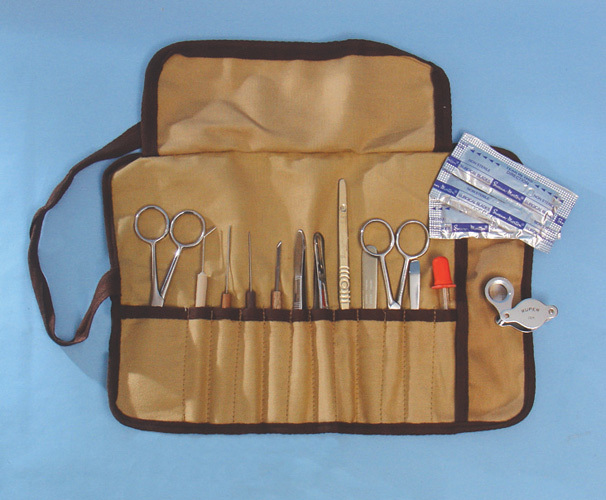 Dissection kits come in many shapes and sizes, but a typical kit contains scissors (smaller and larger), forceps (pointed and blunt-nosed), probes (angled and straight), scalpels (plus blades) and a glass pipette. If you can find one that includes a decent hand lens then that’s a bonus. Prices vary, but for a decent kit expect to spend between US$15-50 (€ 11-40). There are many scientific equipment suppliers on the Internet, including Amazon. If students wish to buy their own dissection kit, my recommendation is to purchase a hard-cased kit. This will minimize the loss and/or damage of the instruments and, more importantly, help prevent injury while traveling with the kit. You do not need to purchase a Drawdio for Dr. Merritt’s science class. He has many available for you to play with, whenever you want! The Drawdio is an battery-powered pencil that–as you as you develop a good understanding of basic circuits–can make ‘music’ as you draw. Sound interesting? Ask Dr. Merritt if you can check out one of the class Drawdios for the weekend and see if you can unleash its creative capabilities. French curves are plastic instruments with a number of different curved surfaces to trace. They are often used by craftspeople, drafts people, engineers, and artists. In science, they are used to make drawings and sketches done in lab and field notebooks more accurate and/or precise. They are light, easy to use, and relatively small. A typical set purchased at the store or online comes with three curves packaged in a simple plastic carrying case. By the time they enter into middle school, nearly all European and American students already know what ‘highlighters’ are and what they’re for. Suffice it to say that professional scientists also use highlighter markers. Dr. Merritt asks his science students to always have at least two colors with them at all times. However, having four different colors is even better, as Dr. Merritt has lots of in- and out-of-class assignments that require their use. Dr. Merritt’s favorite highlighter color is yellow (bright, most transparent). His second favorite is orange (also bright, mostly transparent), then pink (bright, less transparent), then green (even less transparent), then blue (least transparent). Ink Pens are to lab/field scientists as the legendary sword Excaliber was to King Arthur: without these technological instruments, scientists would not be even remotely as influential as they often are. A good ink pen in science is largely a function of durability and permanence. Scientists routinely work on media and in environments in which the mortal enemies of ink are ever-present: for example, water, heat, solvents (ethanol, methanol, acetone), etc. Thus, a good ink pen must strongly resist the urge to do things like bleed, smudge, fade, and be easily erased. Most pencils can’t live up to these specific requirements. 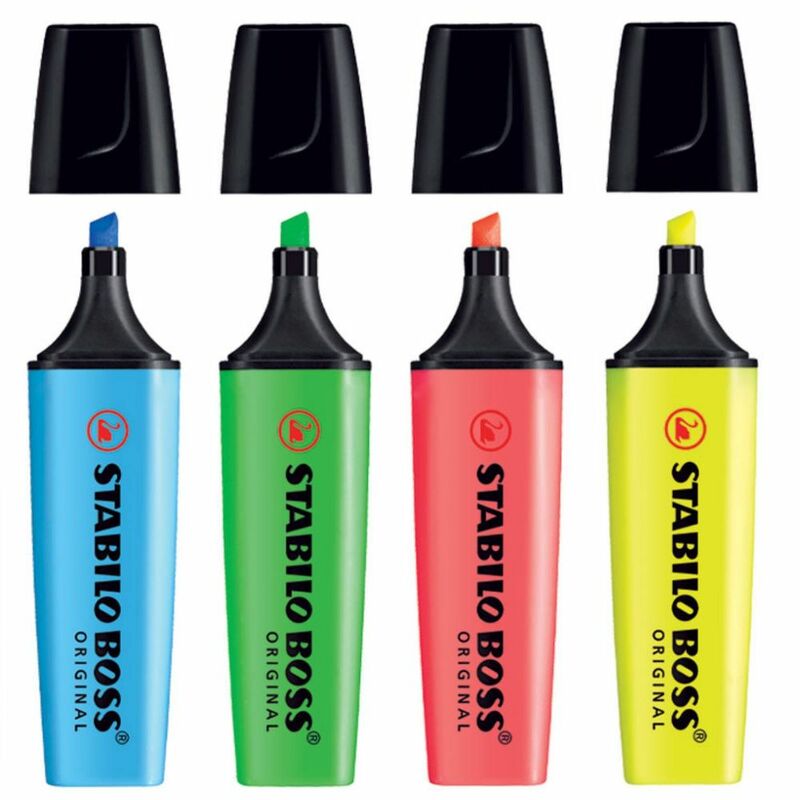 Nor can markers such as felt-tipped and (even) Sharpie ‘permanent’ markers. Fountain pens won’t work unless you fill them with special types of ink and ballpoint pens aren’t entirely reliable either. 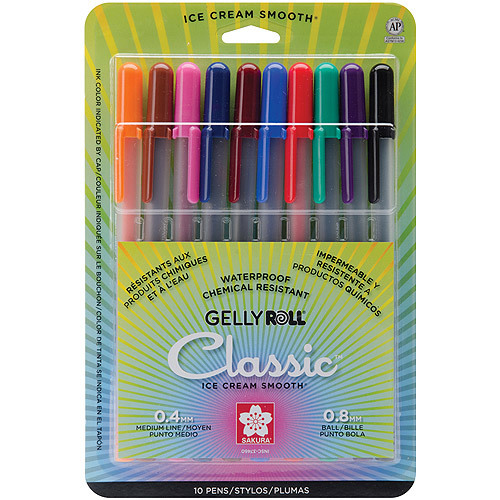 Because of these reasons, many scientists use ‘gel’ ink pens such as the Pentel Hybrid Gel Roller, the Sakura Gelly Roll, the Sanford Uni-Ball Gel RT, the Sanford Uni-Ball Vision, and the Sanford Uni-Gel RT. At the moment, Dr. Merritt’s preferred pen set is the 6-piece Sakura Pigma Micron Ink Pen Set, which is available on Amazon for about 10 CHF/10 USD/9 €. The set conveniently features pens with various tip widths (0.20 mm, 0.25 mm, 0.30 mm, 0.35 mm, 0.45 mm and 0.50 mm), which comes in handy for writing, drawing, labelling, and graphing. The Sakura Micron pens possesses all of the key features required of great scientific writing instruments: they are waterproof, chemical resistant, fade resistant, bleed free, quick drying, and pH neutral. Dr. Merritt has dedicated an entire section of the SCIENCEsEDiment website to lab/field notebooks. This fact alone should communicate just how important a good notebook is to scientists and scientific work. 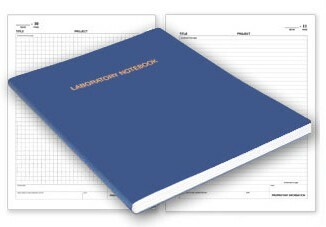 When it comes to buying a notebook, students should look for an A4-sized notebook in Europe or an 8-1/2″ x 11″-sized notebook in the United States with (horizontal) lined paper. The most durable notebooks have sewn bindings, but with a bit of extra care other binding types (e.g., spiral) can work too. You do not need to purchase a Makey Makey for Dr. Merritt’s science class. He has many available for you to play with, whenever you want! 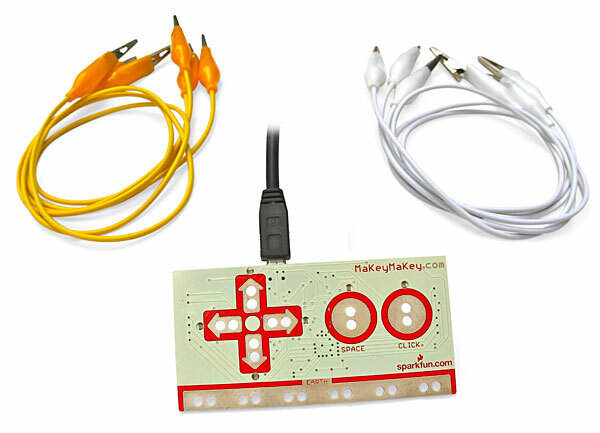 The Makey Makey extends any computer keyboard so that you can make everyday objects around you control your computer. Sound interesting? Ask Dr. Merritt if you can check out one of the class Makey Makeys for the weekend and see if you can unleash its creative potential. Every serious science student will travel come to class with a metric ruler. 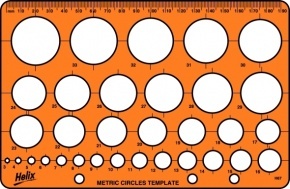 When purchasing one, be sure that it has both centimeter (cm) and millimeter (mm) markings. Lengthwise, try to find something between 15 cm (shortest) and 30 cm (longest). Why metal? Simple. 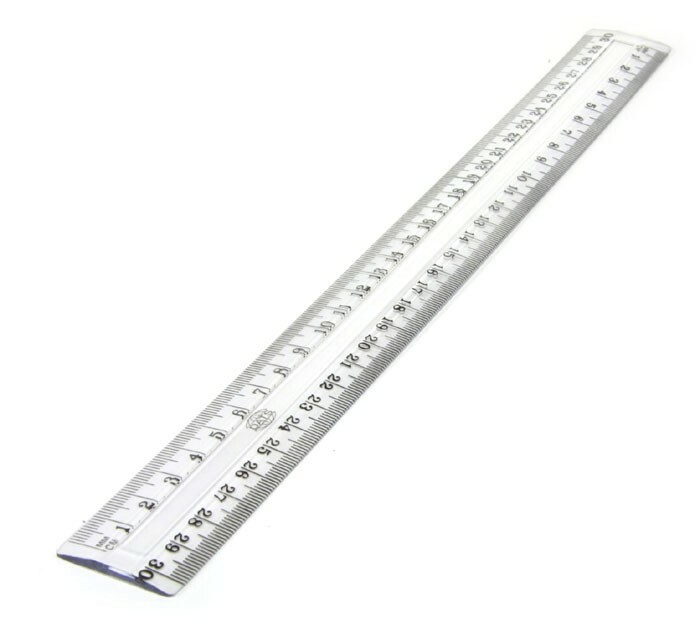 Metal rulers are less likely to break and/or crack when flexed. 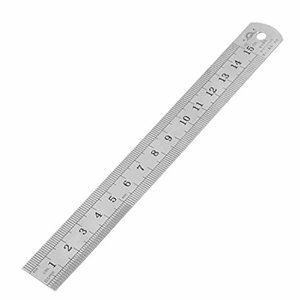 Also, most metal rulers are more durable than plastic ones, meaning that their measuring ‘edge’–one of the most important parts of the ruler–stays smooth and straight, which will obviously allow you to make more professional looking lines. 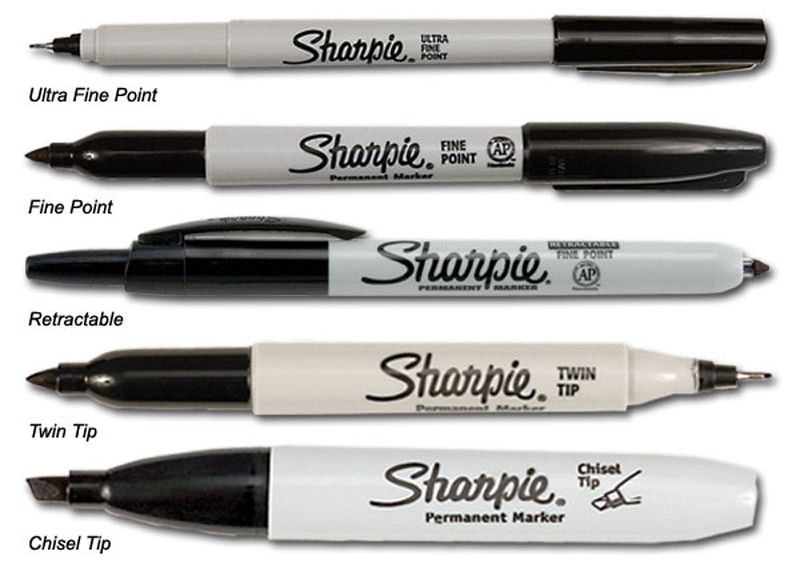 “Sharpie” is the name of a company who makes markers with qualities that are useful in science: permanent, water-resistant, durable. To be sure, there are other companies that make markers with these qualities, but by far the most well know in the English-speaking world is Sharpie. Lab and field scientists almost always have a number of different size and color Sharpie marked near them during their investigations. They are great for labelling items that might be exposed to conditions in which heat, cold, light, water, humidity, etc. are present. Dr. Merritt always keeps some of these in the lab, but you should definitely have one of your own. If you’re going to buy just a single one, the “twin tip,” if you can find it, is a good choice because it has both a “fine” and “extra fine” point. If you can’t easily find the twin tip, then the “fine point” marker is an excellent all-purpose marker.